Looking for the ultimate beach getaway where you can let all your cares drift away on warm, tropical breezes? Then, welcome to Zante Fiore Studios where you can experience a relaxing sensation in your own little piece of heaven right on the waterfront! A unique eco-friendly complex, where nature and man exist in harmony, owned by a friendly family and framed by the crystal waters of the Ionian Sea and beautiful landscaped gardens. Perfect for romantics of all ages but also a serene setting where families can relax and rediscover the simple things in life. Fiore Studios consist of two buildings: the Fiore Beach Studios located literally beside the wonderful sandy beach, 1 km off the main coastal road and the Fiore Hill Studios located in walking distance from the beach on the mountainside of the coastal road. 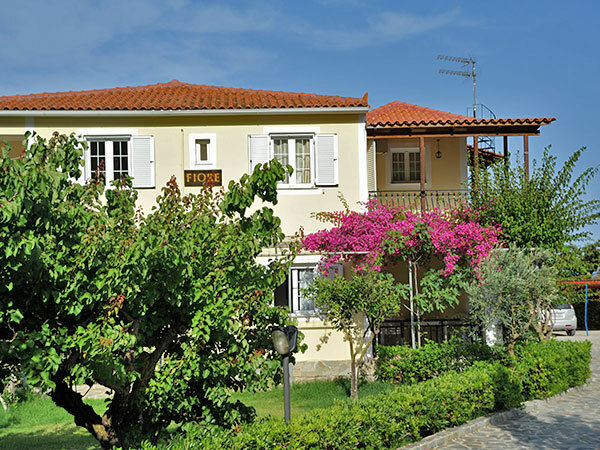 Zante Fiore Studios are located in the pretty area of Xirokastelo on the magnificent Vassilikos peninsula. The complex consists of two buildings, Fiore Beach Studios and Fiore Hill Studios. 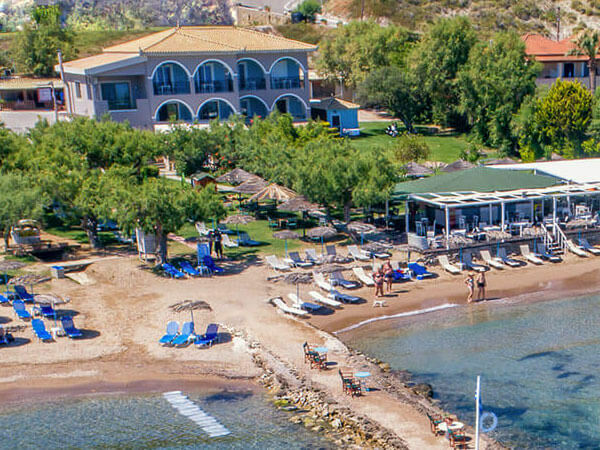 Fiore Beach studios are surrounded by green, beautifully landscaped gardens with bougainvilleas and colourful flowers and situated on one of the most beautiful sandy beaches of Zakynthos, Porto Kaminia Beach. Fiore Hill Studios are located 10 minutes by walking away from the beach on the mountainside, with breathtaking panoramic views of the Ionian Sea and the surrounding green mountains. Porto Kaminia Beach, Vassilikos Zakynthos Greece.